Home > Facebook > Did Facebook copy two of Snapchat's most popular features? 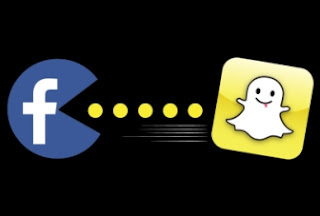 Did Facebook copy two of Snapchat's most popular features? Facebook is rolling out two new features that are similar to Snapchat, leading the latter to a sudden "death". Stories and lenses roll out to 1.15 billion mobile users letting people share ephemeral photos and videos that are displayed in a bar at the top of news feeds. As Adweek reports, "Facebook-owned Instagram rolled out its own version of the popular Snapchat Stories feature in August, racking up 150 million daily users by January when it started dropping. In January, Facebook started testing the feature in Ireland and now it is adding the feature to its flagship app, which stores the photos and videos for 24 hours before disappearing. Title : Did Facebook copy two of Snapchat's most popular features? Date : 3/29/2017 12:04:00 π.μ.